Meet Adam Aultman, Salesman with Rent-E-Quip! 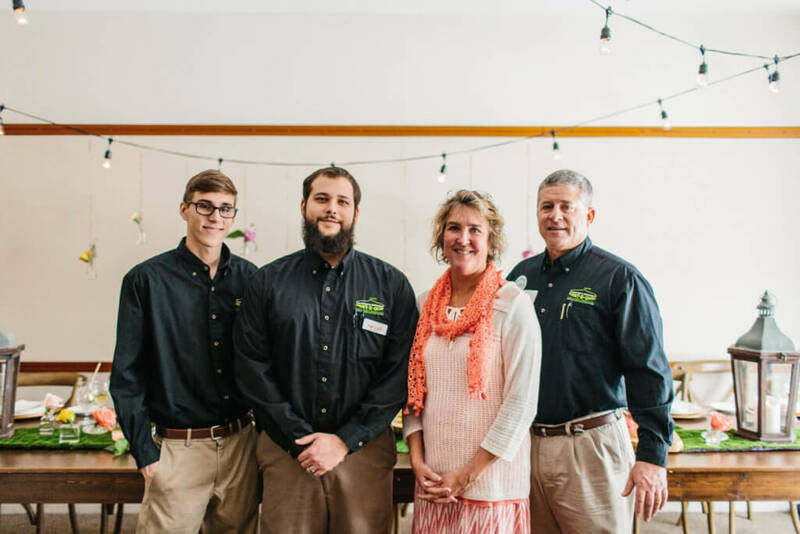 With their extensive inventory of rentals, Adam and the team of Rent-E-Quip are here to make your wedding look JUST like what you pinned on your Pinterest board! What makes you and your business stand out and why should a couple hire you? Our motto is “If we don’t have it, you don’t need it”. 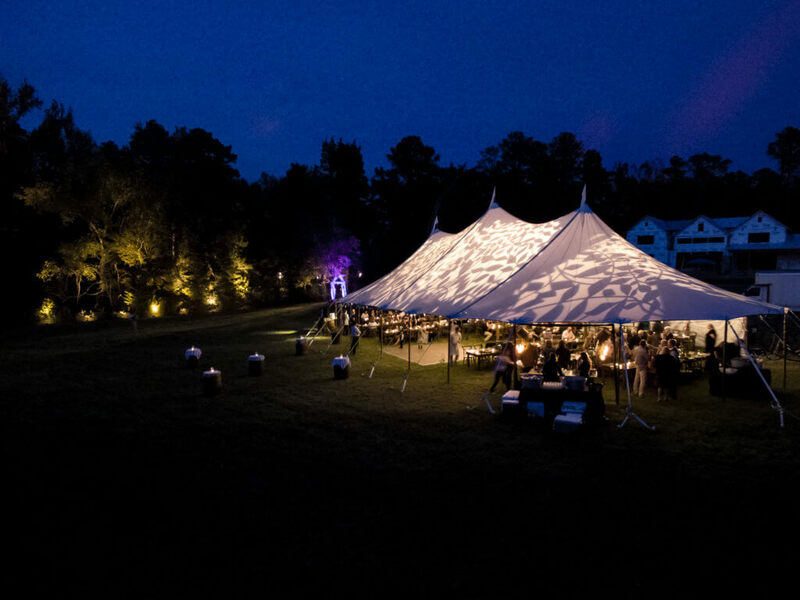 We provide an extensive inventory of rental items to cover all of your needs to be able to create your wedding venue in an open field. When you come to us for your rental needs we sit down with you to write a custom quote for your exact rental needs. 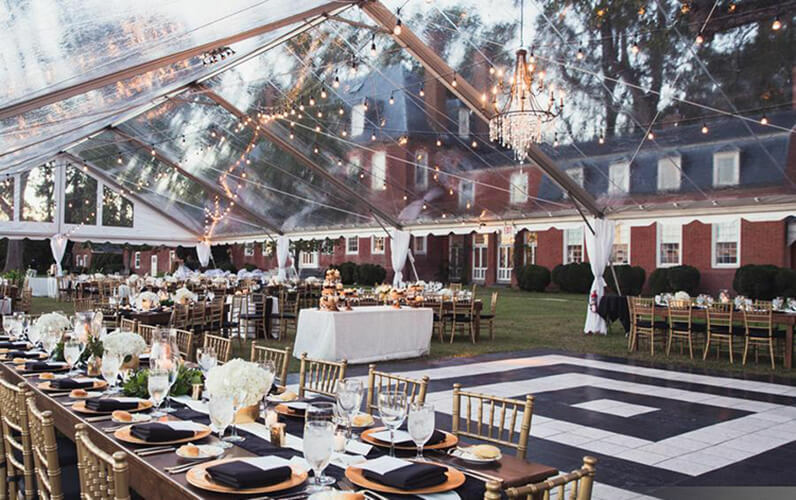 From the style of tent to cover your head to the linens and silverware that will be on your table, there are many parts of your event that have to be customized to each customer’s needs. We make sure that when you leave with your quote in hand you have an understanding of what you need and WHY you need it. We also invite all of our customers to tour our warehouse to see how our rental items are stored and cared for. All of our linens are washed, pressed and stored on hangers wrapped in plastic so that they are as clean and wrinkle free as possible. You won’t find any stains or flaws in our linens! 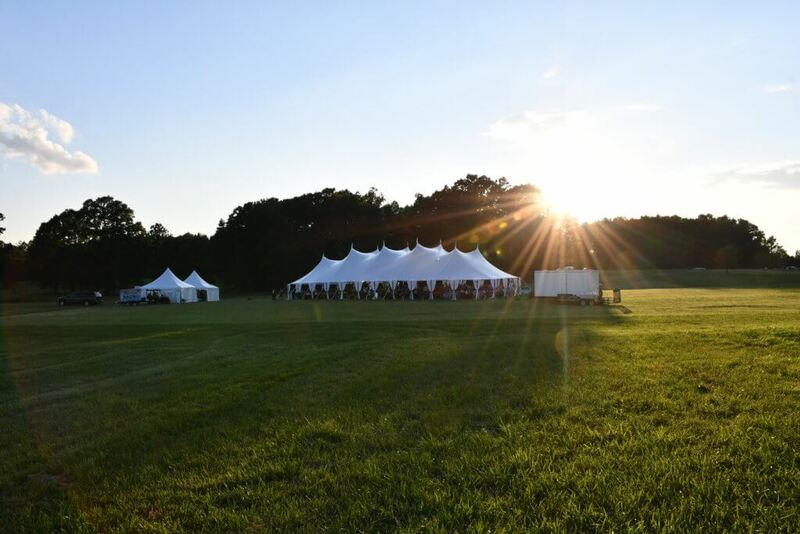 You can see the area that is used for inspecting and drying our tent tops to make sure they are clean and stain free as well as all of our chairs that are washed, dried, inspected and bagged before they arrive at your event location. This is just a few of the many ways that we make sure we provide the best product possible that you are proud to have at your wedding day. Always reserve more rental items than you think you are going to need. This will ensure that when you do get your final guest counts we will have enough inventory available for you. 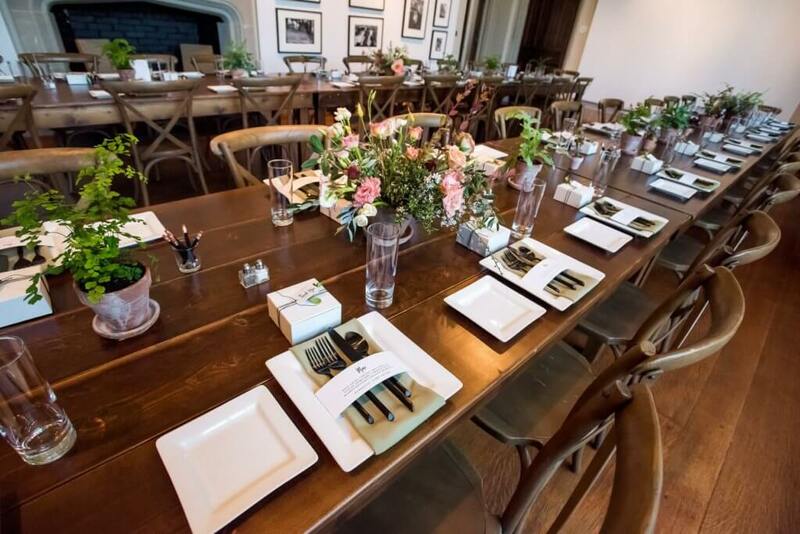 Whether it’s glasses, china, or chairs all of these are controlled by your guest count that we all know isn’t finalized until you get close to your wedding day. 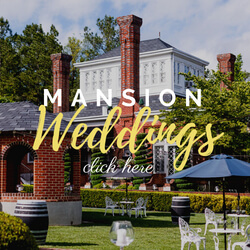 If you are planning to have 150 guests then when final RSVP’s come in you have 175 we might not be able to increase your rentals at the last minute. So it’s always better to overestimate rather than underestimate. The wide variety of clients that I get to work with is the best part of this industry. Every event is different and what each customer loves is different. One client might love a certain color combination and the next thinks it’s hideous. 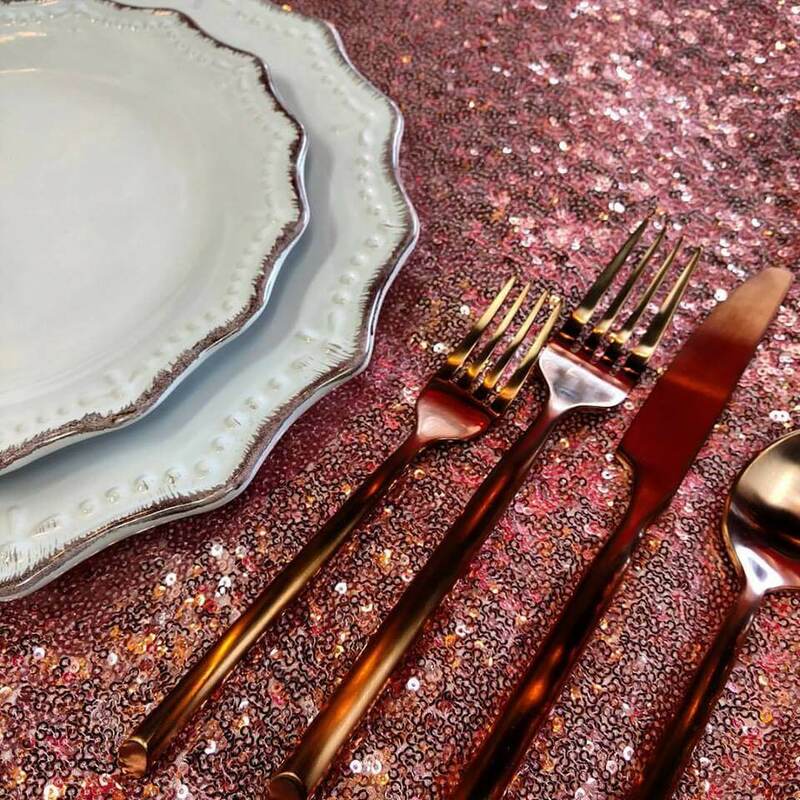 We provide a design studio for our clients to play with different color combinations to see what their tables will look like with their flatware and china. It’s always great to see the wide range of options that our brides think of. We started out as a construction and general tool rental company in 2000 and in 2005 we decided to expand into the event rental industry. We started expanding from there based on what our customers tell us they want and have grown to have an extremely wide variety of different rental items. We continue to outgrow our warehouse and expand almost every year. 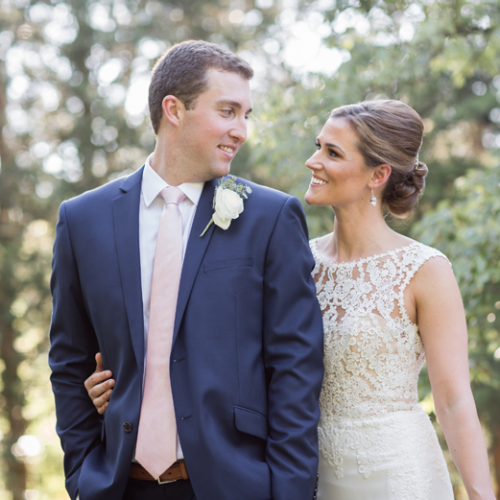 Plan everything well in advance then relax on your wedding day. Let your vendors handle the stress and work on the day of your wedding and you simply relax. Currently, I am loving Skrimp Shack! I was always into cars so I wanted to be a car salesman. Working at Ace hardware stocking shelves. We start work at 6:30 am every morning so breakfast is usually skipped unfortunately and today it was! Camping at Kerr lake with my family is definitely my happy place. What is your newest Netflix obsession? I haven’t found anything lately that really grabs my attention but I have watched Breaking Bad, Sons of Anarchy, and The Walking Dead so many times I have lost count. What would you put on your dream nachos? Nachos don’t have to be complicated, beef, cheese, and HOT salsa are all you need. Staying off of the dance floor is my go-to move haha. It’s safer for everyone that way. Learn more about Adam and the rest of the team at Rent-E-Quip on their website!